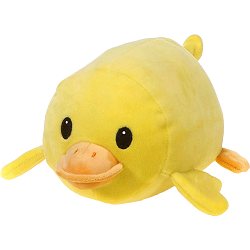 We're excited to introduce you to Darcy, this super cuddly, majorly adorable Lil' Huggy plush duck. 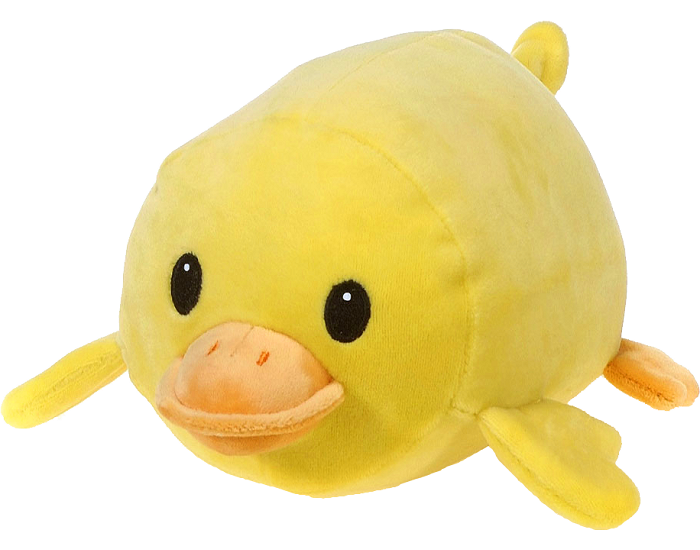 With a squishy body that begs to be hugged, this duck stuffed animal will be an instant best friend. With incredibly soft buttercup yellow fur, peachy-orange bill and feet, and fun floppy wings and tail, this loveable plush duck has a sweet face with embroidered black eyes and is ready for hours of imaginative adventure.